Now, the audience was large and expectant. 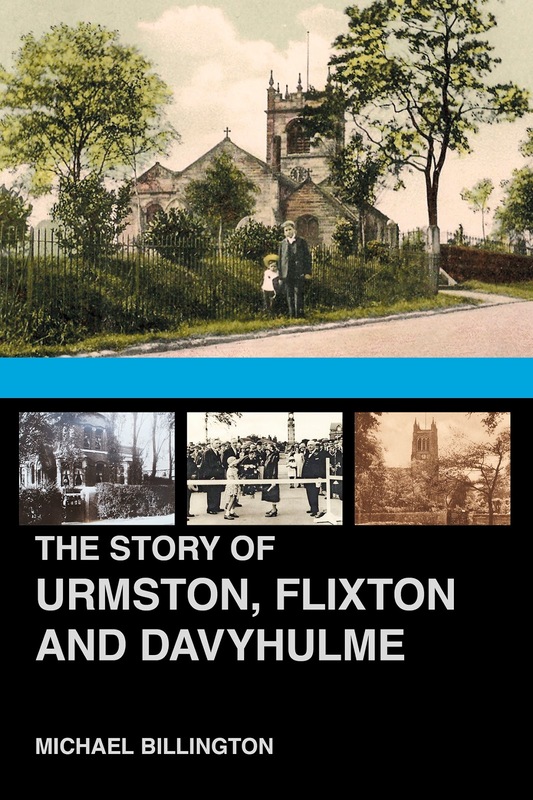 And not just Urmston, because Michael Billington’s book, also covers Flixton and Davyhulme, and is very much a history for today, because as well as all the usual things you might expect, there are some detailed case studies of people and places, like Simpsons the Ready Made Food business. As an Urmston lad, Michael was keen to tell the story of the people of the three townships, celebrating their common past and uncovering the bits that other historians missed out. It involved a lot of research, plenty of conversations with the locals, and a trawl of his own extensive picture collection. So I was not surprised that over 140 people turned out last night to share the book launch. We were treated to an introduction from the Reverend Karen Marshall, and an extensive talk by Michael on the book and his own connection with Urmston finishing with a question and answer session. And along with the presentation Michael, and his Hungarian friend, Ildikó Csige performed a selection of tunes from Hungary. Uprising in 1956, Urmston became home to Hungarian refugees. Not that there really had to be a justification for an entertaining fifteen minutes. Book launches are meant to be fun and so why not have music? Especially given that we were not in a familiar venue for such an event, but instead had been invited in to St Clements’ Church, which was built in 1867, just as Urmston, Flixton and Davyhulme were on the cusp of change. And there is a nice sense of continuity in being in the church as some of those referred to in the book will have had their own connection with St Clement’s as did many of the audience. So it was a good night. The book sales went well and the selection of wines and nibbles were excellent. My only regret was that I didn’t have time to talk to the staff from Urmston Bookshop who helped organise the event, but I have their address and web site and as I collect book shops like other people collect souvenirs, I will catch the 25 from Chorlton and pay them a visit. All of which just leaves me to commend the excellent book by Michael, extend a thank you to Ildikó Csige for the music, and to Paul Sherlock who took the pictures and kindly let me use a selection. But that is not quite the end, because Jenny, Michaels’ partner told me she already has his Christmas present, which he had already signed and which will be instantly recognizablable from its blue and black cover, with photographs of Urmston, Flixton and Davyhulme. 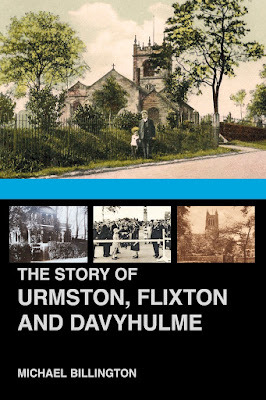 For the rest of us the book can be bought from Urmston Bookshop, online from the History Press or direct from Michael.